My name is Karin Wolgast Fürst and I live in Enköping about 1 hour drive from Stockholm. Ever since I was a child I begged my parents to give me a dog. Unfortunately they weren't that obedient back then and never did... So I walked every dog in the neighbourhhood but that wasn't enough to get me settled. So as soon as I graduated I moved to my own place and bought my first dog, a Rhodesian Ridgeback male named Dando. I have always loved animals so for me it was natural to study to become a zookeeper. 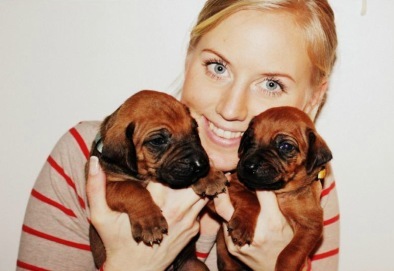 During my school years I worked extra at a small veterinary clinic and after school I started working full time as a veterinary nurse. I bought my first dog Dando in 2003. He got me interested in dogtraining, and we have been competing in obedience, rallyobedience and bloodtracking. My interest in training dogs increased after I bought my second dog Moa in 2006. With her I trained and competed in the same thing as Dando but also started to go to dogshows. 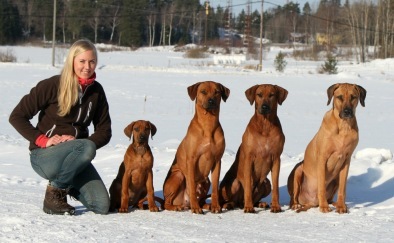 As I was training at Hundens Hus I bought my third dog Yaya in 2008. I try to let my dogs try different things and give them an active and happy life. 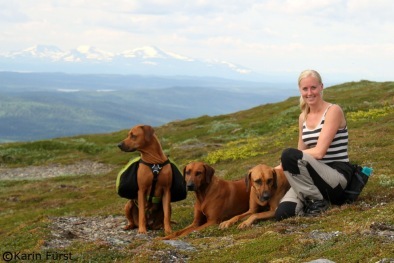 All three of my dogs are Swedish Bloodtracking Champions (SEVCH) which I am very proud of. They all have the rallyobediencetitles RLDN and RLDF and both Yaya and Dando have the obediencetitle LP1. So they are not just pretty, they are talented too! My girls has been to many shows and both gained several championtitles and great wins! Read more about this on their individual pages. From my E-litter that was born in November 2012 I kept one girl at home, Kadamo Bringin' It Back also known as Mira. Mira is the daughter of Moa and her sire is also the sire of Yaya, so a mix of my two oldest girl in one. Mira started off early showing great promise easily gaining her bloodtracking championtitle, SEVCH aswell as the first two titles in Rallyobedience, RLDF and RLDF! 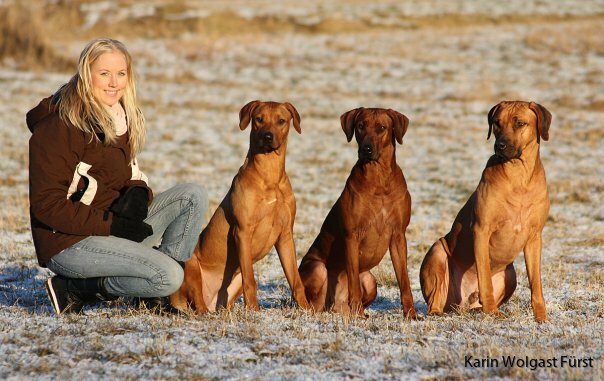 When she was 2,5 years old she also gained her Swedish Showchampiontitle which have after that been followed by Finnish Champion, Estonian Champion, Norwegian Champion and Danish Champion. She also competed in Obedienceclass 1 during 2016 and completed the title LP1. As Dando passed away I felt like I had a room to fill and my daughter "picked" a puppy from my G-litter. The two of them always were near eachother so I couldn't let Koya go. So we now have Kadamo I'm In it for the Gold "Koya" at home, a young girl with lots of promise for the future, when she is not being a cheeky puppy! 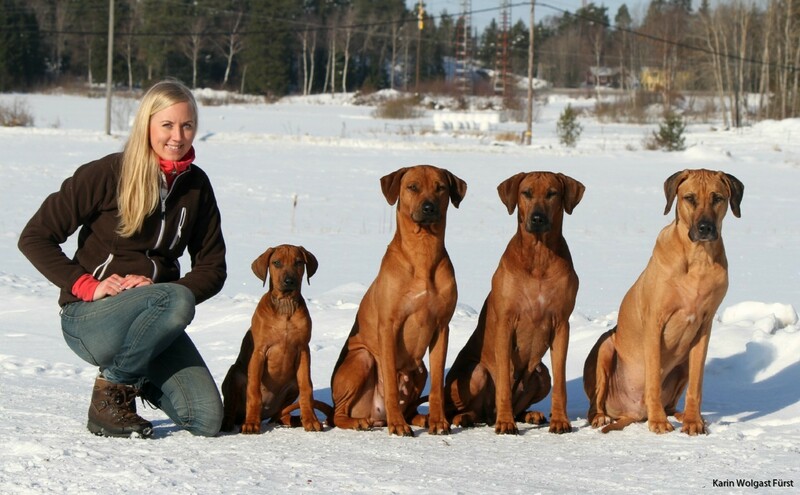 Before the age of 2 years she has become Swedish Bloodtracking Champion, won the RLDN title aswell as been shown around Scandinavia with amazing results, finishing 2nd Most Winning Ridgeback in Sweden 2016. 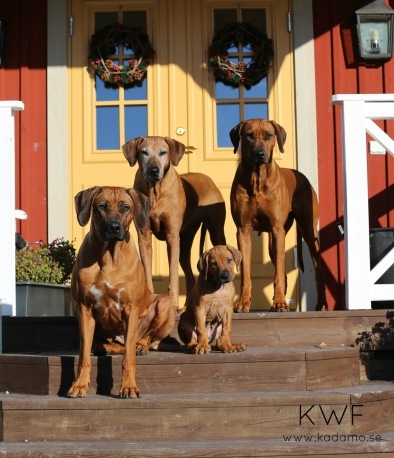 In October 2016 we got a new familymember in the Norwegian boy Amatonga's Golden Boy to Kadamo "Colin". Colin is still just a silly puppy but I am sure we will accomplish great things in the future. 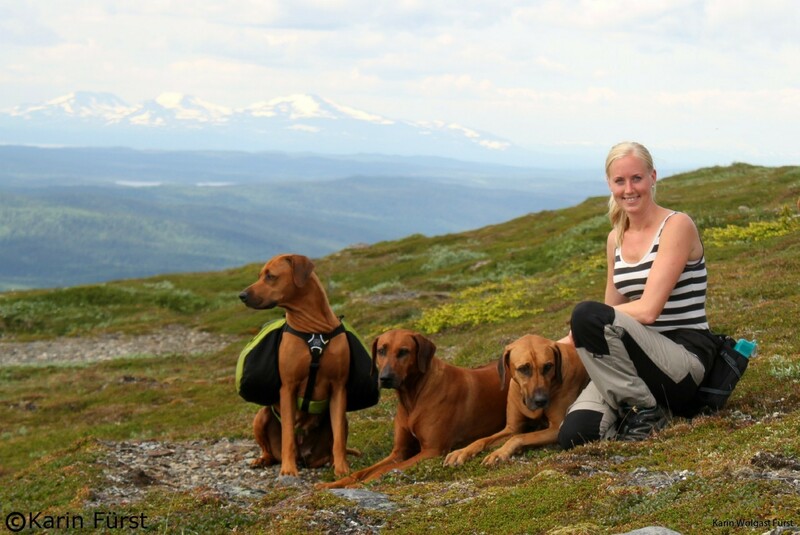 My dogs have different personalities and are good at different things which I think is important to consider in dogtraining. I like them to try different things to find what they are good at and what they enjoy doing. 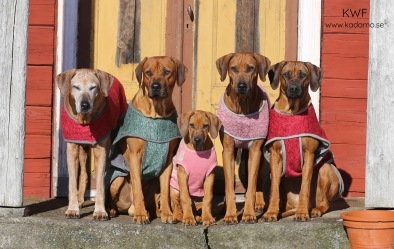 In my breeding I try to breed versatile ridgebacks that you can work with. All dogs can lay on a couch and be cuddled with, but I think is is important to activate your dog aswell! Up to this day I have had 9 litters since 2009 and is planning to for my 10th litter in 2018. 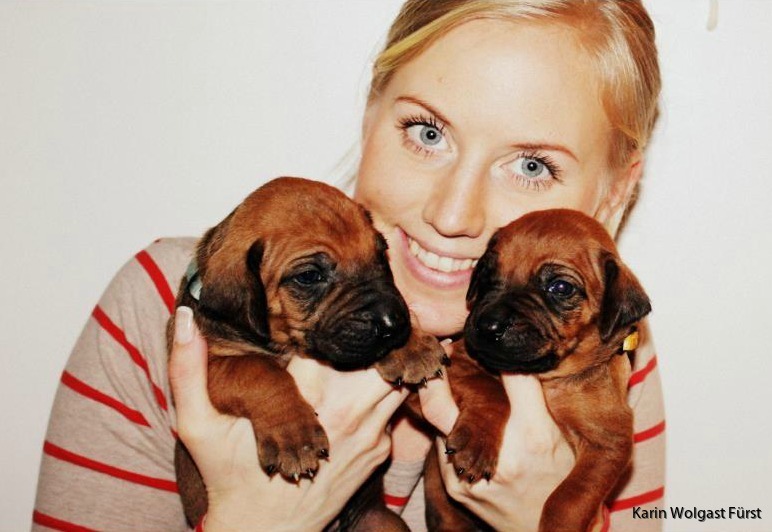 If you want to get in touch with me you can send me and email at karin(@)kadamo.se or call at +46-70-998 09 91.